“Insured and Bonded” is a phrase that sets people at ease. It not only provides our pet sitting company with authority, it provides our customers with security. We always make an effort to explain to our clients every last detail of our policy because we want you to feel comfortable with our services. 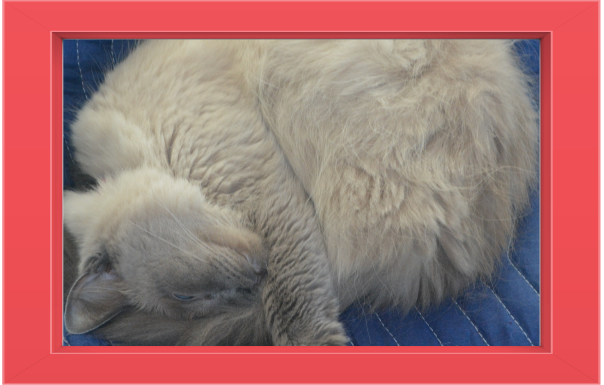 The most important aspect of finding a pet sitter is trust. Feel free to browse through the highlights of our insurance and bonding below. You can also download the full PDF versions of our complete policies. 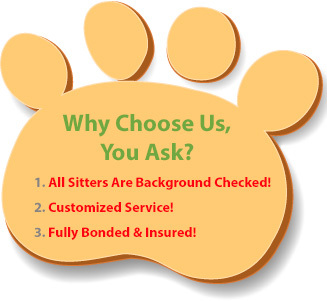 The Pet Sitters Liability Program is for liability protection as it relates to exposure to the pet sitting business. 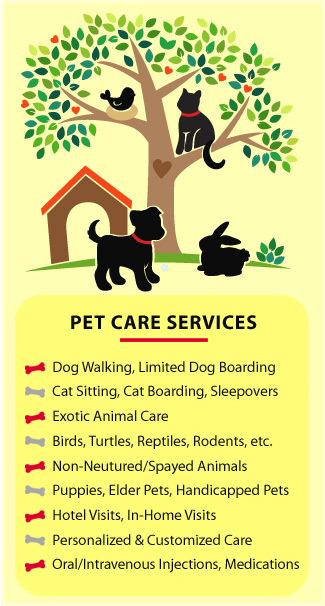 For animals in our care, custody, and control this provides medical coverage and replacement coverage. To download the PDF versions of our Insurance Policy and Dishonesty Bond click here. Or, you can just give us a ring today with any questions or concerns you may have.